Prudent management of water resources requires construction and application of computer models that accurately represent the hydrologic systems under study. Ground and surface water modeling is the forte of TBirdie Consulting. Our experience in model calibration, uncertainty analysis, and system optimization has resulted in the development of numerous highly reliable hydrologic models. These models have been used for mitigating wetland impacts, designing optimal wellfields, delineating wellhead protection areas, determining aquifer safe yield, designing effective dewatering systems, conducting contaminant transport studies, and developing remedial strategies. Individual wells within a wellfield are frequently located without consideration to its optimal location. Additionaly, each well is operated without consideration to minimizing energy cost of operation. TBirdie Consulting provides a complete range of services for determining optimal well spacing and wellfield layout, designing high yield wells, developing operational strategies to maximize production along with minimizing environmental impacts and energy costs. The purpose of wellhead protection is to prevent contamination of groundwater extracted for potable consumption. A wellhead protection area (WHPA) is the surface area surrounding a public water supply well from which water and contaminants are likely to reach the well. Identifying and managing activities within a WHPA minimizes the potential for contamination of drinking water. 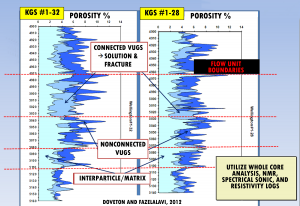 Whether the hydrogeologic conditions at the site dictate the use of simple Calculated-Fixed-Radius (CFR) method or more complex numerical modeling, we can provide the necessary expertise to accurately delineate WHPA and protect your drinking water supply. Coastal aquifers around the world are increasingly stressed to meet growing demand for water. This has resulted in saltwater intrusion in coastal aquifers. Once groundwater in these aquifers is contaminated, it is difficult to restore its original quality. TBirdie Consulting has extensive experience in variable-density modeling of aquifers contaminated by encroaching seawater. The models have been used by regulatory agencies for minimizing the rate of saltwater intrusion by optimizing wellfield operations and to assist in permitting for sustainable growth. Many engineering construction projects involve excavating into water bearing soil in which it is essential to maintain safe operating conditions during construction by keeping water levels below the bottom of the excavation. 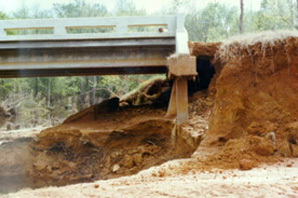 Additionally, some structures such as highways in low-lying areas may also be susceptible to flooding and require a permanent dewatering network. 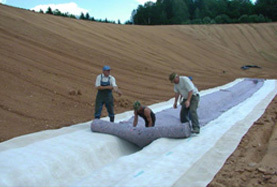 Whether your dewatering needs are of a temporary or permanent nature, TBirdie Consulting has extensive experience in designing optimal and cost-effective dewatering systems under a wide range of operating conditions. 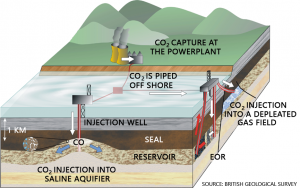 Carbon Capture, Utilization, and Storage (CCUS) is a climate change mitigation technology involving removal of carbon dioxide (CO2) from flue gas and reusing the same for production of industrial byproducts or permanently storing the gas deep in the earth. Geologic formations in which CO2 is stored include oil and gas reservoirs, coalbed seams and deep saline reservoirs – structures that have stored carbon dioxide along with crude oil, natural gas, and brine for millions of years. The captured CO2 can also be used to recover trapped oil and gas in depleted reservoirs, a process referred to as Enhanced Oil Recovery (EOR). Since 2011, TBirdie Consulting has been providing consulting services on a multi-million dollar Department of Energy (DOE) sponsored pilot scale project to demonstrate the feasibility of CCUS technology. Based on this experience, the company offers a full range of service to support implementation of the technology from conception to closure, a period spanning several decades. Site selection is a key part of a CCUS project and we have the experience to carefully review and analyze the data to screen sites with maximum storage potential and minimal seismic risk. We also conduct market research to determine commercial value of the captured CO2 in your geographic area. Our services include recommendation for most economical and effective carbon capture and compression technologies. Cost estimates are provided for site characterization, permitting, carbon capture/compression, transportation, injection, monitoring, reporting, and site closure. The amount of carbon credits available in the international market to offset the cost of CCUS is also researched and summarized in our feasibility study. The outcome of the site characterization process is the development of data sets necessary for developing a multiphase flow and transport model which predicts the spatial extent of the CO2 plume and pressure field. The model projections are also used to identify optimal locations for the injection and monitoring wells. 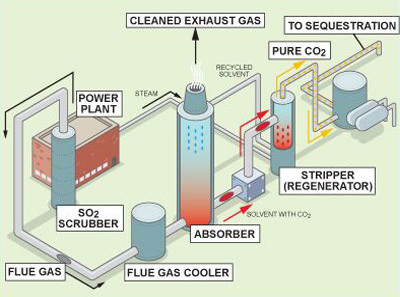 Pre-combustion involves capturing CO2 prior to combustion and is utilized at gasification-based plants where fuel is first converted into gas if necessary by applying heat under pressure in the presence of steam and oxygen. In post-combustion, CO2 is removed from the flue gas after combustion and is mainly applicable to conventional coal, oil, or gas fired power plants. In an oxy-combustion process, an oxygen source is used instead of air for combustion, yielding a stream that is mostly CO2 and without nitrogen. The resulting flue gas is mainly (low volume) CO2 which facilitates removal of pollutants such as mercury and sulfur oxides. This process has the potential to become the capture method of choice for new natural gas fired power plants, as there will be minimal expense for carbon capture. Solvent-based CO2 capture involves using a liquid medium for chemical-reaction or physical absorption of CO2. Sorbent-based processes involve adsorption of selected components of the gas at the surface and pores of a microporous solid. Membrane-based CO2 capture uses permeable materials that allows for the selective transport and separation of CO2 from flue gas for post-combustion capture, and syngas in pre-combustion systems. Novel Concepts are under investigation and include hybrid systems which combine attributes from multiple technologies, novel processes, and nanomaterials. The DOE is also actively supporting research to maximize the potential of oxy-fuel combustion by focusing on combining oxy and chemical looping combustion, and incorporating supercritical CO2 power cycles and pressure gain combustion. TBirdie Consulting is actively following developments in the carbon capture field and have the necessary skillsets and industry relationships with combustion cycle experts for identifying the most efficient technology for our client’s needs. An EPA Class VI permit is required for CO2 sequestration in all states except North Dakota. The primary goal of EPA is to ensure containment of the injected CO2 within the injection zone in order to prevent contamination of drinking water aquifers. 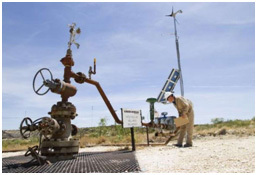 The permit consist of several formal plans related to injection well construction, stimulation, operations, reservoir characterization, multiphase modeling, testing and monitoring, reporting, post-injection site care and closure, and demonstrating financial responsibility. TBirdie Consulting has over six years of experience dealing with the EPA regulators at the regional and national level in support of Class VI permitting. On approval of the injection permit, we develop the physical and electronic infrastructure necessary for injection, and install the equipment necessary for monitoring the plume and pressure fields, and ensuring safe operating conditions. We can also provide the staff necessary to oversee operations and respond to emergency conditions requiring remedial measures as outlined in the injection permit. To ensure that the injected CO2 remains confined in the injection zone, EPA requires the implementation of a broad set of monitoring technologies to track the plume and pressure front. Broadly speaking, the monitoring technologies are divided into two categories: Direct and Indirect monitoring. Direct monitoring refers to actual measurements of the system state such as pressure, temperature, and geochemical composition. Indirect monitoring refers to a set of auxiliary data from which the location of the plume and the pressure front can be deduced. 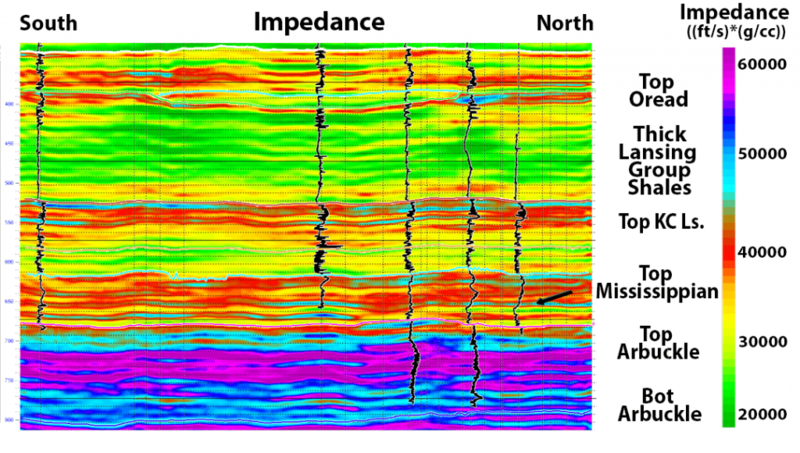 Examples of indirect method of pressure monitoring include satellite based Interferometric Synthetic Aperture Radar (InSAR), which measures land deformation from which the pressure distribution in the injection zone can be estimated in addition to detecting leakage in caprock. 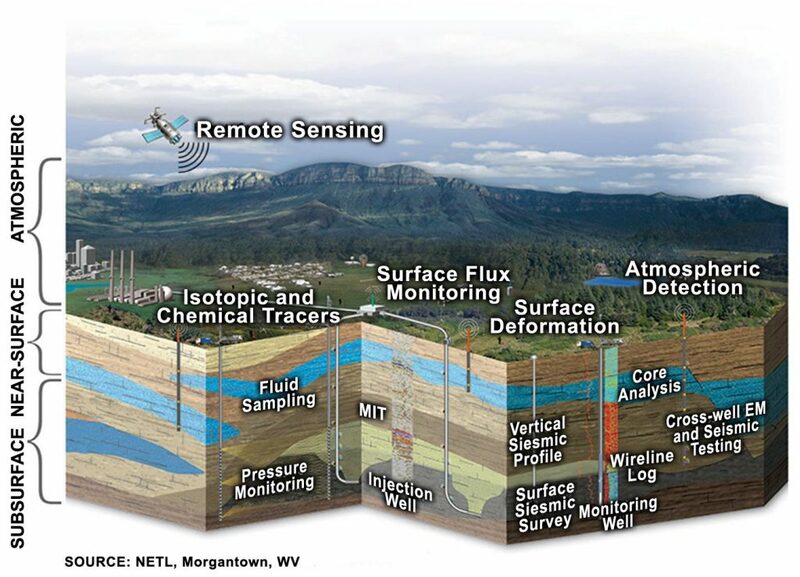 An example of an indirect plume monitoring technology would be Croswell Seismic Profile. The Class VI rule requires quarterly reporting of the monitored data and demonstration via computer modeling that the CO2 plume and pressure front are evolving as projected in the permit application. Any deviation necessitates an update of the predicted path of the plume and pressure field, along with modification to the monitoring plans. All monitoring, validating, and reporting requirements are fulfilled by our staff in support of the permit requirements. As per Class VI rule, the default (plume/pressure) monitoring period after cessation of CO2 injection is 50 years. Periodic reporting is to continue during this period until stabilization of the plume/pressure and non-endangerment can be demonstrated. We have all the procedures and experience necessary to accomplish the Class VI non-endangerment demonstration in the shortest possible time. Based on detailed analysis and computer based projections, we have previously petitioned the EPA and successfully reduced the PISC period to as little as four years. Our knowledge of international carbon markets and connections with carbon traders involved in purchasing credits from verifiable carbon sequestration operations can help offset the cost of CCUS for our clients. We are also familiar with provisions of the recently passed 45Q legislation in the U.S. congress, which creates credits for carbon storage and utilization to increase oil production. TBirdie Consulting is actively monitoring the developments in this area so that our clients can reap additional financial benefits from CO2 capture as these technologies mature and are ready for commercial use. The cost of carbon capture can be mitigated by selling CO2 to support enhanced oil recovery (EOR) operations in depleted oil fields. 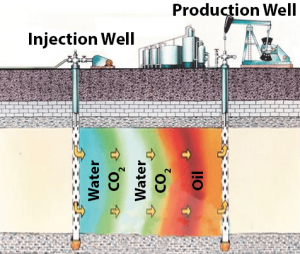 Injecting (miscible) CO2 in mature fields reduces the surface tension and viscosity of the trapped oil, thereby facilitating its release. CO2 that is produced in gaseous phase along with oil is re-injected in a feedback loop. Some of the CO2 remains trapped as storage and contributes to the sequestration goal. 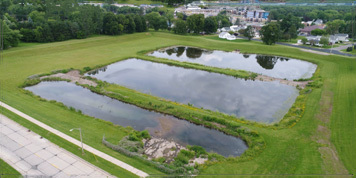 We have the expertise to provide a wide range of consulting services related to watershed and urban hydrology, hydraulic modeling, storm water management, landfill drainage, hydraulic structures, sediment transport, open channel hydraulics, and environmental dispersion processes in streams.